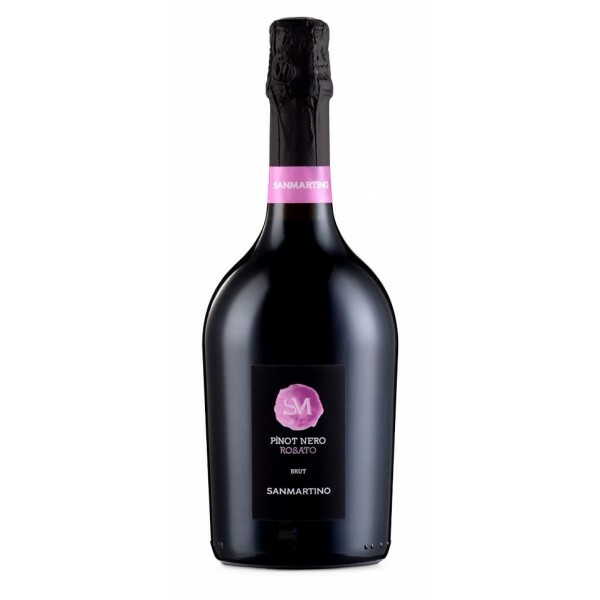 Pink Pinot Nero Rosato is made from a careful selection of grapes of the Pinot Nero variety, fermented as white wine. The grapes are subjected to cryomaceration and after a few hours the musts are separated from the must in order to obtain a classical, delicate pink color. Dual fermentation by the Charmat method with the addition of selected yeast cultures leads to flavor with a fragrant, fresh bouquet with a touch of flowers and fresh fruit. This wine, due to the special grape structure that is balanced by a dull taste, is well suited for pasta and risotto, fish dishes and, in general, cheeses. It will be a great aperitif for your party, celebrations and meeting with friends. Ideal for summer sitting on the terrace in any day or night time :).